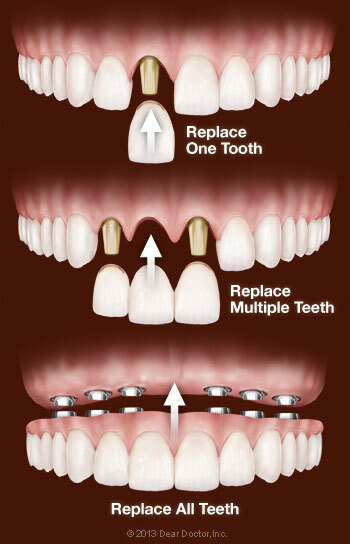 This very popular implant technique refers to the procedures that allow for the placement of multiple dental implants and on the same day an implant-supported provisional restoration is attached to the implants. This prosthesis is meant to be an interim prosthesis to allow for the healing of the implants while they attach to the patient’s jaw bone. This healing period can vary depending on each patient’s medical status but is usually between four and nine months. After this initial healing period a new long-term prosthesis is made for the patient. In current dental research, there are reports of patients wearing their provisional restorations well beyond this initial healing & stabilization period but it is not recommended. Even though you receive a provisional restoration the day your implants are placed there are several presurgical appointments to evaluate if you are a candidate for any implant procedure. In general, an initial appointment would include a complete dental & medical evaluation, screening x-ray and answering any of your initial questions. 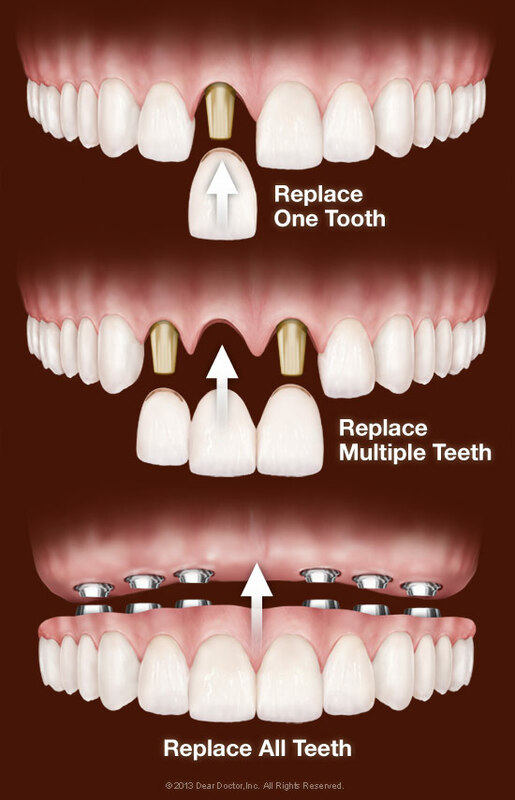 If you decide to precede further then more significant dental and medical information needs to be gathered to plan and customize your implant supported prosthesis. This information may include a medical consult, intraoral photographs, preoperative models of your existing dental condition and a CT scan. After a thorough review of this information, your implant case will be discussed with your final goals in mind for a great finished product & a greatly improved quality of life. For your convenience & comfort, we provide both the surgical implant placement and restoration of your implants at one convenient location! After you have finished with your dental implant restoration, maintaining your dental implants it is crucial for the long-term success of your new prosthesis. For the first two years after completing your treatment it is recommended that you see our hygienist every three months to help you maintain your implants. After this initial two-year period you & our hygienist will develop a customized hygiene program for you. This may increase the interval between hygiene appointments to four-month intervals with the goal of getting you on a six-month schedule. Your hygiene program will be tailored for the long term success of your implants. You have made a significant investment in your dental health and we want to help you protect your investment & give you years of good function of your implant prosthesis. Your home care will be reviewed at each visit & we will help coach you on maintaining your implants. There are only two ways an implant can lose attachment to the bone and fail once it has successfully fused: poor oral hygiene or excessive biting forces. Poor oral hygiene and/or a lack of regular cleanings can lead to a destructive bacterial infection called peri-implantitis. Flossing and brushing your teeth on a daily basis, along with regular professional cleanings, can prevent this. Excessive biting forces can come from either a habit of clenching or grinding your teeth or an insufficient number of implants to handle the forces generated by your bite. 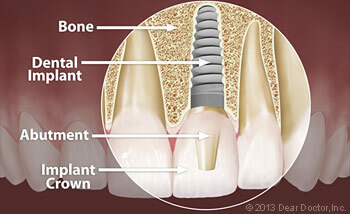 We will make sure you receive the correct number of implants so this does not happen. And if you have a habit of grinding or clenching your teeth, we will recommend wearing a nightguard to protect your implants. After all, implants are a long-term investment in your smile, your health, and your well-being, so let's do our best to protect your investment.